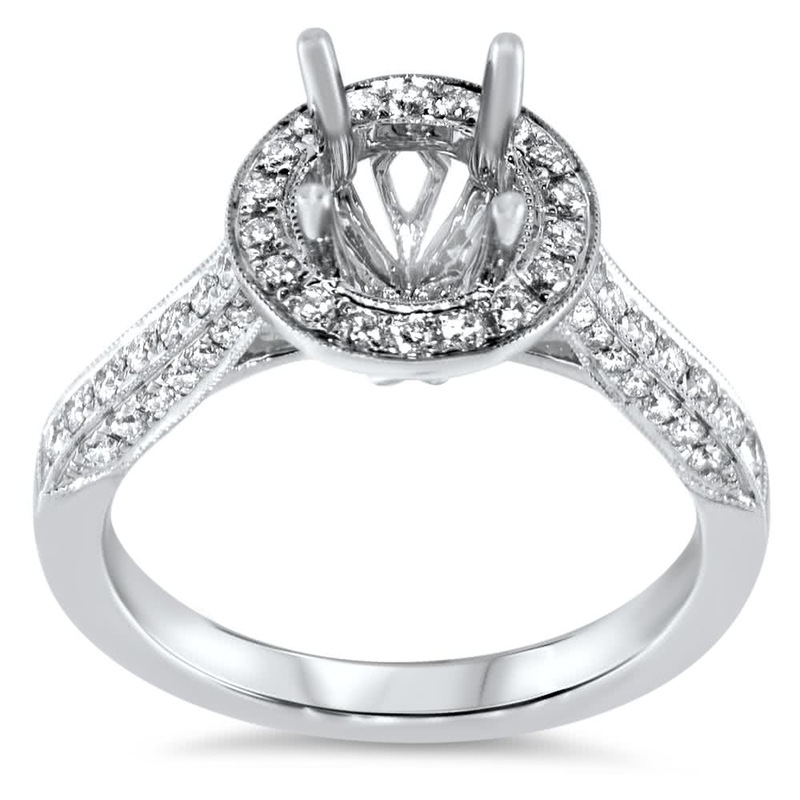 Unique engagement ring with micro pave side stones. 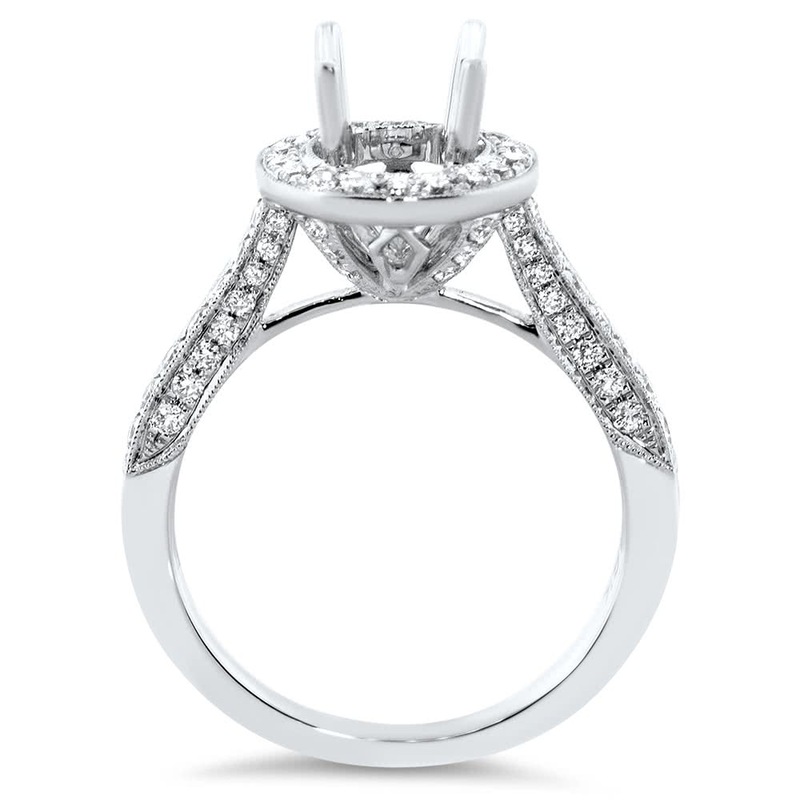 The diamonds down the side, front and back are all framed in milgrain. 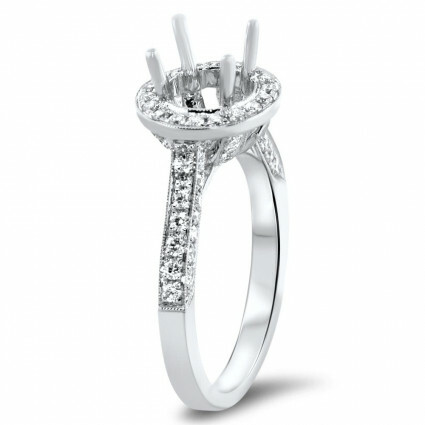 The ring will hold a 2 carat round diamond.